App Maker and PowerApps recently entered the arena of low-code and no-code app development. Here’s a first look at how they compare. Both Google App Maker and Microsoft PowerApps seek to offer their enterprise customers an alternative to mobile app development through traditional programming. Microsoft was first through the gate with its PowerApps product, released to general availability at the end of October. One month later, Google announced its App Maker in limited availability to its G Suite customers. 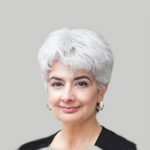 Microsoft and Google are new arrivals to a market that has been around for a while. Gartner and Forrester both began tracking essentially the same category in 2014. Gartner‘s term is ‘rapid mobile application development tools’ (RMAD) while Forrester prefers ‘low-code development platform’. Neither analyst firm has yet included Microsoft PowerApps or Google App Maker in their respective reports. We have not yet spent enough time hands-on with PowerApps and App Maker to compare their capabilities in detail – watch for that in future posts. But we can offer our perspective on how these products compare at a high level, both to each other and to our own Formotus no-code mobility solution. 1 InfoPath-based solutions have been in production since 2008. The Formotus creator was released July 2016. 2 Not all Office 365 plans support PowerApps, and not all PowerApps features are supported by the Office 365 or Dynamics licenses. 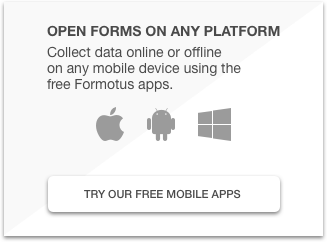 3 Formotus offers two licensing models: per user for unlimited usage, and per form for anonymous usage. Learn more. 4 The Windows desktop PowerApps designer came first, and the Web-based version is still in preview. 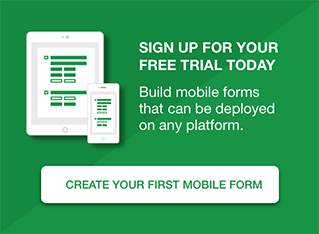 5 InfoPath-based forms and browser-based forms run side-by-side in the same Formotus apps. See: Formotus for InfoPath Users. 6 Microsoft is promising that PowerApps can be embedded in SharePoint browser pages in the future. 7 Connecting to Cloud SQL can be complicated, and Google Drive tables is a simple alternative with significant limitations. 8 PowerApps can connect to SharePoint lists but not libraries. There are a number of other connectors as well, some ‘premium’.